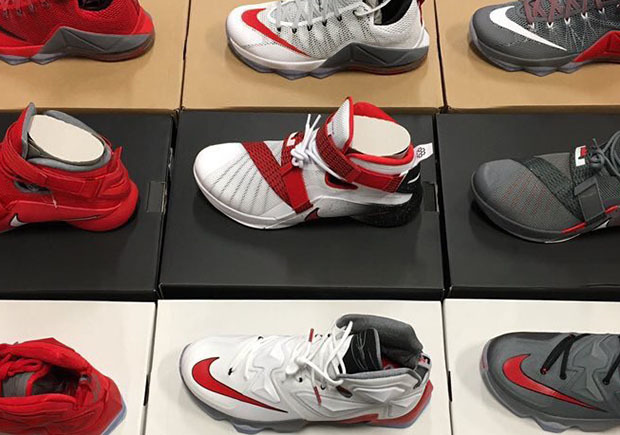 Christmas came early for the Ohio State Buckeyes, as LeBron James just blessed his would-be alma mater with a special shipment of PEs. The school LeBron would have went to if he didn’t jump right into the NBA has still managed to reap the benefits of being the King’s favorite team throughout the years, with their latest perk being this variety of the LeBron 12 Low, LeBron Soldier 9, and LeBron 13 in three sets of team colors. 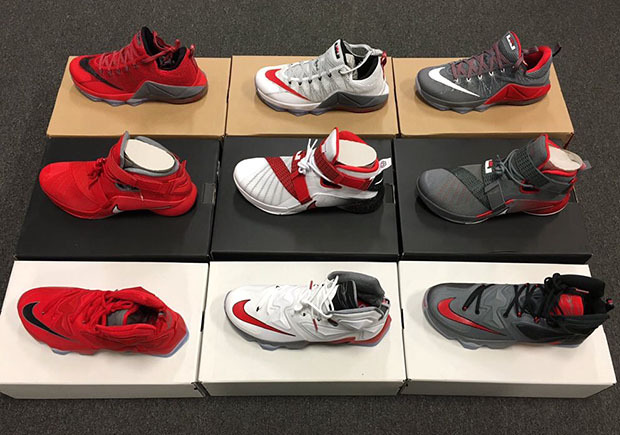 Check them out, and let us know if you wouldn’t mind seeing any of these clean Ohio State colorways hit retail.